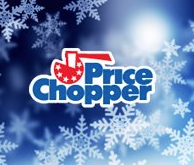 Price Chopper Weekly Coupon Matchups 11/30-12/5! AdvantEdge ecoupons - Price Chopper is launching their new e-Coupon program with upgraded features starting on Monday, December 1st at noon! Beef Shell Steak $5.99 lb. $3 off a Meat Purchase of $15 or More Target Coupon (Fresh, Frozen or Deli!) - exp. 12/24. Current Snap offers: $0.25/1 Cranberries, $0.25/1 Onion, $0.50/1 Potatoes, $1/1 Turkey plus more! Today is the last day of the month so I would print any coupons you want by today as they may be gone on the 1rst! PC Boneless Chicken Breast or Thighs - $1.99 lb. Hatfield Marinated Pork Loin Fillets - $3.99 lb. Green Peppers - $1.99 lb. Tomatoes On The Vine - $2.79 lb. Loose Russet Potatoes - $0.99 lb. Loose Red or Golden Bulk Beets - $1.49 lb. $2 off (2) 2 lb. - new coupon! D&W Oven Classic or Peppered Turkey Breast - $8.99 lb. PC American Cheese - $5.49 lb. Wunderbar Bologna - $3.49 lb. Visit pricechopperrules2.com to more details. The 6 ct. are on sale for $4 - I added an extra 1 in there - typo - thanks - I changed it back to 6! There is a .75 coupon for Apple Jacks. is that included?